Wednesday 22nd November saw the presentation of the Autumn Budget and with it came changes to Stamp Duty Land Tax for first time buyers. Stamp Duty Land Tax (SDLT) is a tax which is payable if you buy any property in England, Wales or Northern Ireland. SDLT is calculated against the value of the property and the rate that you pay depends on your personal circumstances. HOW IS STAMP DUTY CHANGING? Before the changes came into effect first-time buyers paid stamp duty at varying rates on any purchases of residential property above £125,000.00. The Treasury has now stated that this threshold will be raised to £300,000.00 effective immediately. It is estimated that this increase will mean 80% of first time buyers will now pay no stamp duty. The Treasury estimates that the changes will help over one million first-time buyers get onto the housing ladder over the next five years. Any purchases between £300,000.00 and £500,000.00 will also be liable for a reduction in SDLT under the reforms. Any purchases above £500,000.00 will receive no discount to SDLT. AM I A ‘FIRST TIME BUYER’? If you have ever owned any residential property before anywhere in the world then unfortunately you will not qualify. In a joint purchase, all purchasers would need to fall within the above definition of ‘first-time buyer’ to qualify for the reduced rates. If you are buying a property that costs more than £125,000 and up to £500,000 you will save money. Under the previous rules 2% SDLT was payable on every pound above a property value of £125,000 , up to £250,000, while a 5% rate currently applies on the band between £250,000 and £925,000. For example; under the old rules a first-time buyer purchasing a property for £200,000.00 would be liable for £1,500.00 in SDLT. However, under the new rules, no tax will be payable on this transaction. Similarly, a first-time buyer purchasing a property for £300,000 would have been liable for £5,000.00 in SDLT. However, under the new rules, no SDLT will be payable on this transaction. A £10,000 tax bill on a £400,000 property is being reduced to £5,000 and a £15,000 charge on a £500,000 home goes down to £10,000. If a first-time buyer purchases a property that costs between £300,000.00 and £500,000.00 then the first £300,000.00 is free from SDLT and the amount between £300,000.00 and £500,000.00 will be taxable at 5%. For example; a purchase at £400,000.00 would have previously attracted a SDLT bill of £10,000.00, this has now been reduced to £5,000.00. Unfortunately, there has been no change is the SDLT regime for purchases over £500,000.00 and these purchases will still attract SDLT at the previous rates. If you are thinking of purchasing a property and if you want to know more about the SDLT changes then please call a member of our experienced Conveyancing Team who will happily discuss the transaction and your eligibility with you. Our Commerical Partner Aaron Menuhin has put together a short introduction to Blockchain: What is Blockchain? When buying a property with another person, one of the most significant considerations for you should be how do you wish to own the property together? There are two ways in which a couple can jointly own a property; as Joint Tenants or as Tenants in Common. Joint Tenants each own the whole property, this means that if one were to die, then the whole property passes automatically to the survivor. Why does it matter how you own the property and what considerations should be made? Firstly, you may wish to consider financial contributions. Let’s say that one of you has a lump sum from a previous sale of a property in your sole name. You would be making a significantly greater financial contribution than the other party. If you simply own as Joint Tenants, then you each have as much legal interest in the property as the other. Should you later split up, you would of course expect your share to be taken into account when dividing sale proceeds. Secondly, families are becoming more and more fragmented with second marriages increasingly common. If you have children from a previous relationship whose inheritance you wish to protect, how you own your property is crucial. If you own as Joint Tenants and are the first owner to die, then the whole property passes to the surviving owner. As time passes and they move on, how can you guarantee that they honour your wishes? Both of these scenarios are perfect examples of when ownership as Tenants in Common would be appropriate. You can further protect your interest by way of entering into a Declaration of Trust. A Declaration of Trust is a legal document drawn up to clearly set out respective shares of co-owners. Let’s go back to our first example where one party was contributing a greater lump at the outset. For arguments sake, imagine they contributed £100,000 towards a £300,000 purchase. A Declaration of trust could be drawn up that gives the first owner, on a sale, the first £100,000, then half of the proceeds thereafter. In our second example where you have an owner wishing to protect the interests of children from a previous relationship, but perhaps, the contributions are pretty much equal. It would be appropriate for them to own as tenants in common in equal shares. One more consideration would be the advantage of holding a property as Tenants in Common where debt is concerned. If creditors are seeking to seize assets, in a property owned as Joint Tenants a creditor can seize the whole property. If the property is owned as Tenants in Common, a creditor in a bankruptcy scenario can only seize the share of the bankrupt party. 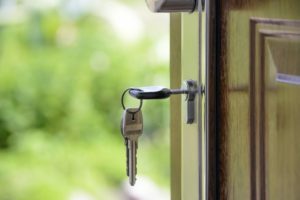 When you next purchase a property with a co-owner, think carefully before ticking “Joint Owners” and speak to your Solicitor if in doubt. At FMC we can prepare a simple Declaration of Trust for £300 plus VAT. That’s a small price to pay to protect yours and your family’s financial interest and peace of mind. Moving house is not renowned for being a stress-free process. At Fairhurst Menuhin we want our clients to have peace of mind in knowing that a professional firm of solicitors is dealing with their property transaction. Does moving day have to be a Friday? Many people believe completion of a property transaction has to take place on a Friday – this is a myth. People may choose to complete on a Friday so that they have the weekend to unpack and settle into their new property. However, you can complete your property transaction at any point during the week. When can I pick up the keys? Completion of a property transaction has to take place before 2pm on the agreed completion date. This is a contractual term within every property contract. In some cases time of completion is amended within the contract to ensure completion takes place earlier. Once completion has taken place, your estate agents will be instructed to release the keys. How long until I can move into my new house? On average a property transaction can take anywhere between 12 to 16 weeks. The length of a property transaction is dependent on the length of the chain, mortgage requirements and the number of enquiries raised by the purchaser’s solicitors. If enquiries cannot be answered by the seller, negotiations may be required to resolve any issues. 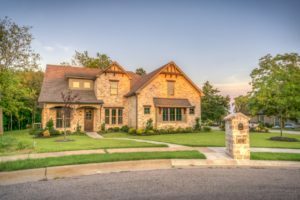 When am I committed to purchasing the property? Once contracts have been exchanged, you are then committed to purchasing the property. We may ask you to sign the contract before we exchange. However, you are not committing yourself to purchasing the property by signing the contract. Can I rely on my mortgage provider’s valuation report? You cannot rely on the valuation provided by your lender. Whilst your lender will insist on preparing their own valuation report, is very basic and does not reveal much about the property itself. A homebuyers survey may reveal anything from small issues to full blown structural problems. It is therefore worth obtaining a survey to ensure you have a full understanding of the property. Do I need to order searches? What if, following the purchase of your dream home, you find that there is subsidence, a flood risk, a maintenance charge for the private driveway or that planning permission wasn’t obtained for the conservatory? You need to be aware of any potential issues and the only way you can do this is by obtaining searches. The standard searches we would always advise clients to obtain are an Environmental Search, a Chancel Repair Search, a Water & Drainage Search and a Local Authority Search. We would always advise clients to make arrangements for building insurance from the date contracts are exchanged. If you are obtaining a mortgage it will actually be a requirement of the lender that insurance is in place from exchange of contracts. 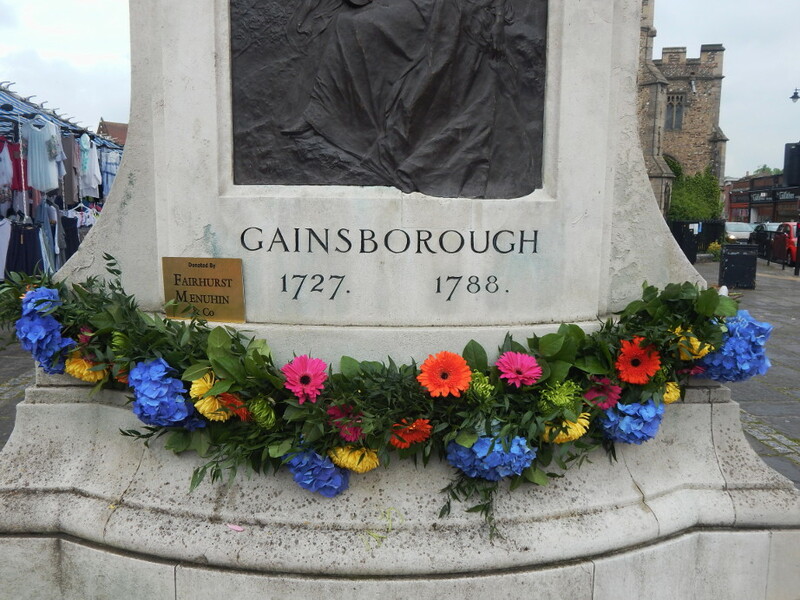 Fairhurst Menuhin & Co had the pleasure of sponsoring Gainsborough’s Birthday on the square celebrations in Sudbury on Saturday 13th May 2017. Thomas Gainsborough was born in Sudbury in 1727, he went on to become one of Britain’s most iconic portrait and landscape artists of the 18th Century. As Benjamin Franklin said in 1789 “Nothing is certain except death and taxes.” And that is as true today as it was then. It is a very modern taboo but we are all going to die so why is it that so few of us have a Will. If you die without leaving a Will you are said to have died Intestate, and your Estate (that is your property, money and possessions) will be distributed in accordance with the Intestacy Rules. The Intestacy Rules are a set of strict legal rules which dictate who will benefit from your Estate, how much they receive and who can administer your Estate. If you make a valid Will however you can choose who will benefit from you Estate. The English law of succession is based on the principle of “testamentary freedom”. Put simply, this means that you can choose to leave your Estate to anyone you like. However, there are exceptions. The Inheritance Act (Provision for Family and Dependents) 1975 allows certain people to make a claim against an estate if they have not been adequately provided for. The most common example is that of a dependent child. Where a child has been cut out of their parent’s Will, the child (or someone acting on their behalf) can raise a claim asking for the court to make an award for “reasonable financial provision” from the Estate. 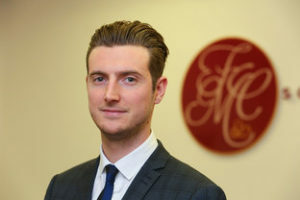 Although adult children financially independent from their parents can also make a claim in the recent case of Ilott -v- Blue Cross and others the Supreme Court confirmed that we are in general free to choose who will inherit our property when we die and that your wishes matter and that if you record those wishes in a will, they will be listened to. If this is a matter of concern to you then you should take legal advice. Inheritance Tax (IHT) is a tax which is paid out of your estate on your death. The standard IHT rate is 40% and it’s only charged on the part of your Estate that’s above the £325,000 threshold (the nil-rate band). There’s normally no Inheritance Tax to pay if either the value of your Estate is below the £325,000 threshold or you leave everything to your spouse or civil partner, a charity or a community amateur sports club. IHT is a complex area and you may wish to take legal advice. Funds from your Estate are used to pay IHT to HM Revenue and Customs (HMRC). This is done by the person dealing with your Estate, the “executor” if you left a Will or the “administrator” in the case of an intestacy. Because both IHT and Probate Fees are payable before funds in the Estate are available you may wish to consider insurance policies or other financial arrangements to ensure the money can be accessed when it is needed. Recently a young couple in their 30’s came in to see me to make Lasting Powers of Attorney. 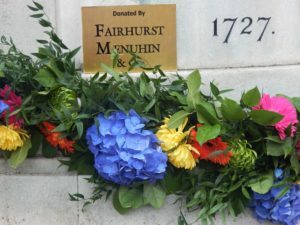 They explained that it was something they knew they probably should do but it had never seemed very urgent until one their fathers was knocked down by a bus while celebrating his 70th birthday in Paris. He was in a coma for many weeks which was hard enough for the family but the situation was made much more difficult because they could not arrange payment for medical expenses (he only had the basic EHIC card). Once back in the UK his recovery was slow and while they did everything they could to help they would have liked to take over the burden of his financial affairs until he felt up to it but, again they were limited in what they could do. Mental and physical incapacity can hit at any time which is why we should all plan ahead to ease the potential burden on our relatives. A Lasting Power of Attorney (“LPA”) gives another individual the legal authority to look after your financial affairs or health and welfare should you lose the capacity, either temporarily or permanently, to do so. LPAs are recognised by care homes as well as banks and building societies and the tax, benefits and pension authorities. If you do not have an LPA in place and become incapacitated, your relatives may face long delays and expense in applying to the Court of Protection to get access to your finances. Don’t Get Burned by Solar Panels! If you purchase solar panels there are usually no issues when you come to sell your property, provided you have all the necessary supplier guarantees and building regulation certificates and, you have purchased the solar panels outright. Full steam ahead for you and your conveyancing solicitor! However, many solar panels are marketed on a ‘free’ model. Essentially, the supplier agrees to install the solar panels free of charge in return for a lease over the roof space of your property. In return, the property owner get free electricity. Sounds like a win-win situation for the supplier, the owner and the environment doesn’t it? Well, not quite….. The generosity of the supplier largely springs from the financial benefit they receive from payments from the ‘Feed in Tariff Scheme’ introduced in 2010. Usually these leases are for a 25 year period and crucially contain a buy out clause to terminate the lease. The cost to the property owner to buy out of the lease is usually £15,000 – £25,000, depending on the size of the roof and the length of the remaining term of the lease. If you enter into such a lease, this causes a potential problem when you want to sell your house during the life time of the lease. Unless you are able to ‘buy out’ of the lease, it encumbers the property and any successor in title to the property, thus any mortgage lender is unlikely to lend to a potential buyer. Clearly, this will have an impact on the marketability of your property and may cause a stumbling block for seller or buyer alike. The advantages of low energy bills and the benefits of renewable energy are immeasurable. But, to ensure you don’t get burned by your own solar panels, why not consult a solicitor before entering into any solar panel agreement. Or, if you already have an agreement with a solar panel supplier, why not consult a solicitor before you put your house on the market for advice on the lease. This needn’t be expensive and can avoid costly and stressful pitfalls and delays when you have found your buyer and are ready to move. If you need more advice regarding agreements relating to your property or, if you are selling or buying a property with solar panels and require advice or re-assurance, please do not hesitate to contact Kerry Wigg at kerry.wigg@fmc-solicitors.com or call her on 01787 827 583. Little does the eager, starry eyed entrepreneur know that perhaps the greatest risk he or she is taking is not the uncertain income stream, the investment in tools, machinery, websites, logos, advertising and inventory, nor is it the one staff member taken on the receive clients, or sort flowers, or take calls, or help grow the business. The greatest risk is that fairly wordy piece of paper he was rushed to sign by a pushy estate agent, it said something about a lease on the front page. Not to worry though, after all, everybody needs a lease right? Well yes, but there are leases and leases. This particular entrepreneur unfortunately did not do so well, the service she was offering was not what people wanted, or the flowers he was selling were not the taste of the locals, the economy crashed two months after he moved into his new shop, or the supplier she had relied on pulled out. For whatever reason, businesses sometimes fail. Time to sell off the inventory in the back and close shop. Not so fast though, that piece of paper you signed actually forces you to pay the rent for the next four years, and stops you from sub-letting the shop, and requires you to fix the windows, and the door and even the roof! As if watching your own business fail was not punishment enough, you now are facing severe financial stress because of a lease. If you are considering starting a business and looking for suitable premises come talk to us. We can help you make sure that you are limiting your exposure to risk and focusing on building a thriving business. 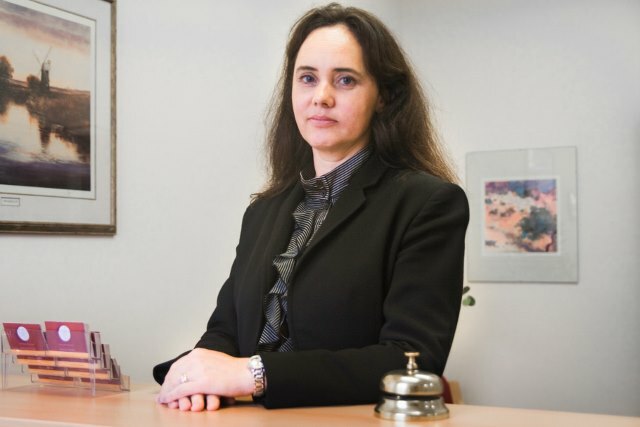 Changes in employment law – not business as usual! Employment Law is undergoing a revolution. In July 2013, we saw the introduction of employment tribunal fees to submit a claim to the employment tribunal, a cap of 12 months’ pay on unfair dismissal compensation; and new rules governing Employment Tribunal procedure. But are employers prepared to meet these changes? Under the new fee system, an employee must pay a fee to submit their claim and to proceed with a Tribunal hearing. Employees will therefore think twice about bringing unmeritorious claims. Early settlements from employers will decline too as they adopt a “wait and see” approach and use the payment of the upfront fee by an employee as an indicator of whether they are serious about their claim. Although it may seem that the introduction of fees favour the Employer, with a likely rise in the cost of settling claims it is not all good news. Employees will inevitably seek the cost of the Tribunal fee to be added to any settlement payment and there is a real prospect that Claimants would rather have their ‘day in court’ rather than entertain settlement proposals. The compensatory award for unfair dismissal claims were capped at £74,200. This gave an unrealistic perception about the level of awards employees could receive. We have now seen a 12 month pay cap on unfair dismissal compensatory awards introduced. The maximum cap of £74,200 remains, but there is also a lower cap of one year’s salary for those who earn less than £74,200. Although the intention is clearly to deter claims by employees against businesses, employees may consider adding allegations of discrimination or whistleblowing to bolster their chances of a higher award. Elaborate Tribunal Rules were a minefield for anyone unfamiliar with the Tribunal process. Consequently, the rules have been reduced and simplified to make them more accessible. It seems universally accepted that any uniformity will give certainty for both employers and employees and must therefore be embraced as a welcome change by both. Resolving disputes in the workplace is less costly to both parties and delivers more positive outcomes in terms of continued employment and business productivity. Conciliation can also achieve outcomes which are not an option in the Tribunal, such as an apology. It is intended that ACAS conciliation will become a mandatory process before a claim is submitted to the Tribunal. The intention is clearly to encourage the parties to consider and participate in settlement or mediation. The Employment Law changes we are witnessing are to encourage early resolution of workplace disputes and to simplify an overburdened Employment Tribunal process. As these changes bite, employers need to modify their approach and strategies to resolve disputes. Whilst the new rules in 2013 take a tough line on employees, the future looks brighter for employees with the imminent introduction of compulsory ACAS mediation. Penalties of up to £5,000 for employers who lose at Employment Tribunal will discourage small businesses from defending claims. We are likely to see an increase in the tactical games of employers and employees. But who will prove to be the strongest tacticians? Employers should strongly consider seeking help now from Employment Law Specialists to prepare them and protect their business against the changing cycle of employment law. 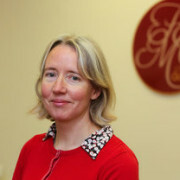 Kerry Wigg is a partner at FM&C specialising in Employment Law. She may be contacted on +44 (0)7454 866 133 or +44 (0)1440 761 200.